SETA as an engineering apprentice training provider have always offered a well-recognised and varied range of training and qualifications for young people to start their engineering career. These continue to include Apprenticeship at level 2 and Advanced Apprenticeship to level 3 for post 16 learners. The Higher Apprenticeship offers an alternative to undertaking a degree post completion of AS or A level. Undertaking a Higher Apprenticeship includes units from the ‘Performing Engineering Operations’ qualifications, completion of a Higher National Certificate in Engineering and completing an NVQ 4 in the workplace. The Higher Apprenticeship in engineering aims to offer employers an alternative or additional option to the recruitment of graduates with no work experience. They offer a new work-based route into professions which have traditionally been the preserve of graduates. For prospective employees this apprenticeship offers an alternative career route: whilst being able to undertake qualification recognised by the professional institutes, gaining valuable work experience, having employed status and receiving an income. The Higher Apprenticeship is available to all age groups. Like all apprenticeships higher apprentices will be employed and the apprenticeship provides a framework for training. It will be both academically and practically challenging developing a range of skills to prepare the apprentice for a career in engineering which could lead to senior posts within dynamic companies. Young people can start a career at from the age of 18.  SETA (Stockport Engineering Training Association) is one of the North West longest established engineering training providers. We provide an important contact for young people and their parents, seeking to secure an engineering apprenticeship. In partnership and on behalf of employers we deliver training in our centre and in company over the duration of the apprenticeship. Higher apprenticeships in engineering will cover disciplines across design, manufacturing, maintenance and technical product development, reflecting engineering diversity and future challenges. For sixth formers they will offer a career path and opportunity to work with an apprentice training provider whilst being employed. High level skills shortages in engineering offer a fantastic opportunity for those willing to work hard and realise their potential. The Higher Apprenticeship in Advanced Manufacturing Engineering provides an alternative and additional option to employers who would normally only recruit graduates. The advantages to the apprentice are that they have the opportunity to learn and earn while gaining valuable experience in the workplace and not accumulating thousands of pounds of dept. They are also working alongside experienced staff and achieving qualifications that are an employer recognised mainstream route to senior level industry careers. To arrange a meeting and gain more information on Higher Apprenticeships please contact Ian Burns at iburns@setatraining.com or call our office: (0)161 480 9822. NEBOSH NGC – Book now to save £200!